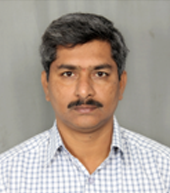 Has done M.Sc., Ph.D.(Genetics) from Osmania University, Telanagana , Hyderabad and Post Doctoral Studies from INRA, France, University of Miami, USA. Currently working as Scientist (Molecular Genetics and Epigenetics) at ICMR-National Institute of Nutrition, Hyderabad. Primary research interest is by using genetic & epigenetic approach in understanding the common complex diseases, and gene variation, epigenetic patterns and their possible relationship with diet. The ethnic health disparities result from environment x gene interactions, particularly those involving dietary factors (Nutrigenomics). Maternal nutritional imbalance and metabolic disturbances during critical time windows of development may have a persistent effect on the health of the offspring and may even be transmitted to the next generation. Imprinted genes, which control feto-placental nutrient supply and demand and their epigenetic liability in response to nutrients, may play an important role in adaptation/evolution. Thus the idea is to devise genome-based nutritional interventions to prevent, delay, and treat diseases such as Obesity, Type 2 diabetes, PCOS, Cardiovascular disease, and cancer. Invited participant for IDEAL work shop at Bangkok, Thailand, ICMR-“International Biomedical Young Scientist Fellow” underwent for training on Epigenetics at CINJ, USA and visiting scientist at The Rockefeller University, NY, USA as part of collaborative project (NIH-ICMR) genotyped WNIN/Obese mutant rat. Muralidhar MN, Prasad SMVK, Battula KK, Giridharan NV, Rajender Rao K. (2017). Differential response of rat strains to obesogenic diets underlines the importance of genetic makeup of an individual towards obesity. Scientific Reports. 22;7(1):9162. doi: 10.1038/s41598-017-09149-6. Dinesh Yadav DM, Muralidhar MN, Prasad SMVK, Rajender Rao K (2017) Pre-pubertal diet restriction reduces ROS and restores fertility in male WNIN/Obese rat. Andrologia. doi: 10.1111/and.12849. Naga Muralidhar Merugu, Raghunath Manchala, Rajender Rao Kalashikam (2016). Nutri (Epi) Genomics and Metabolic Syndrome. Proc Indian Natn Sci Acad. 82 (5), 1425-1436. Vaidyanath. K and Rajender Rao. K. ( 2004). Biotechnology and the improvement of oil seed crops -- Indian context: Gleanings in Plant Sciences, Vedams eBooks (P) Ltd. New Delhi. Rajender Rao K and Vaidyanath K (2003) Biotechnology of Sesame. Plant Genetic Engneering: Improvement of Commercial Plants-II. Vol. 4: 221 - 234. Sci Tech Publishing Lic, U.S.A.
Rajender Rao, K. and Vaidyanath, K., (2000) Biotechnology of Sesamum : Problems and prospects. Recent advances in Biotechnology P.C Trivedi (ed) pp. 106 – 120, Panima Publishing Corporation, New Deldhi – India. Rajender Rao, K. and Vaidyanath, K., (1999) Biotechnology and Sesamum improvement. Proceedings of National Symposium on "Plant tissue culture and molecular biology : Emerging trends" P.B. Kavi Kishor (ed), pp. 37 - 46, Orient Longman, Universities Press (India) Limited. K. Rajender Rao et al 1999 Plant Biotechnology (for B.Sc. Students), Prof. T.N. Mary (ed), Academy Press, Government of Andhra Pradesh, India.